mitzvah – Philadelphia chef Fritz Blank of Deux Cheminees restaurant has impressive culinary collection that includes about 15,000 volumes: cookbooks, periodicals, menus and memorabilia. 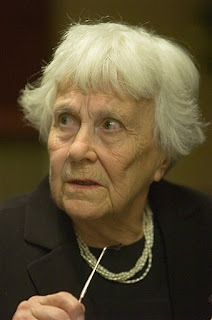 As he prepares to retire the University of Pennsylvania Rare Book and Manuscript Library is preparing to acquire a good portion of his library perhaps 10,000 items, including cookbooks dating to 1678 and 1747.
life list – January 11, 2007, (AP) MONTGOMERY, Ala. – Reclusive author Harper Lee attended a high school play based on her book, “To Kill a Mockingbird,” on Wednesday, then met with students who appeared in the production. . . (more) First Pynchon, now Lee, all we need is a shot of Salinger – and we have ourselves a hat trick! timewaster – Ya gotta love this. 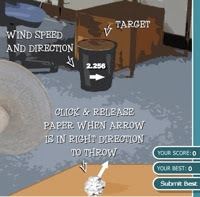 – simple flash game of toss the paper in the trashcan. blog stuff – ProBlogger has a REALLY good list of ideas on the best ways to market you blog in 2007.
obit of note – Robert Anton Wilson has passed . . . again. new world order – The oldest company in the world, will go into liquidation in January. The Construction company was founded in 578 in Japan by a group of people from the ancient Korean kingdom of Baekje, will go into liquidation in January.